Register to submit Notice to Owner, Claim of Lien, Notice of Non-Payment, and soon, Business Insight Reports. Registration is FREE! The single most important thing you can do to ensure you get paid. Forget to file your Notice to Owner? Don't sweat the small stuff. 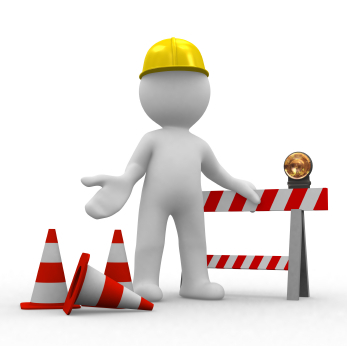 Construction Notice™ will handle your emergency filing without a rush charge! When you need to file a Claim of Lien, Construction Notice™ will provide the completed form from the information furnished by entering online. Construction Notice™ also provide a courier service for recording your Claim of Lien with the county recorder. Construction Notice™ is not a law firm and does not give legal advice. If you are on a bonded job and it’s fewer than 90 days since your last day on the job, Construction Notice™ will assist you in preparing your Notice of Non-Payment, based on the updated title information and the information you provide us. Construction Notice™ is your construction notice provider for Florida, Georgia, and Texas. Did you file your Notice to Owner? Construction Notice™ has more than 25 years of experience in serving the needs of the construction industry. Construction Notice™ takes pride in providing our clients friendly, personalized customer service while helping them achieve the highest possible recovery at the lowest possible cost. Construction Notice™ is not a law firm and does not give legal advise. Enter the start date of your job for Notice to Owner. Enter the last date of your job for Claim of Lien.